Based on the location of your system, as well as its size and features, the sound of your HVAC unit can impact on your quality of life at home. Homeowners want their house to be comfortable but not at the expense of peace and quiet. The right HVAC unit for your home should not drown out your activities, or wake you up in the middle of the night. If you are researching a new unit for your home, learn how to select the most quiet HVAC system. All HVAC systems have a decibel (dB) rating that correlates to the intensity of sound. The lower the decibel rating, the quieter a system. 50 dB is equivalent to a quiet conversation at home. 60 dB is closer to the volume of a conversation at a restaurant. 70 dB is considered “annoyingly loud,” like the sound of a vacuum cleaner. 80 dB is similar to the sound created by running a garbage disposal. Using these examples, most homeowners seek a quiet HVAC system that is below 60 dB. The quietest systems fall between the range of 50-60 dB. Why is a heating and cooling system so noisy in the first place? An HVAC is a complex machine with many moving parts that rattle from the intense vibrations that occur when it is running. These noises—typically associated with the starting and stopping of the fan—are the number one culprit of HVAC-related noise pollution. When the weather is extreme outside, your unit will operate at its highest decibel, since the unit is working overtime to keep the inside of your home at a stable, comfortable temperature. Other sounds could be created by outdoor elements, like leaves or twigs falling into your unit. As with all appliances, this is an important step for maintaining efficiency and lengthening lifespan. Get your HVAC unit checked by a professional once a year to head off potential problems from refrigerant leaks, worn parts, loose bolts and screws, and outdoor debris. The size of your HVAC unit can also play an important role with noise. If you don’t choose a system that’s large enough to accommodate the size of your home, the decibel number won’t likely matter, as your HVAC system will be loud as the fan will be running constantly. We recommend consulting with an HVAC professional to help best address your home’s needs. Beyond the square footage of your home, and the climate of your area, a reliable contractor will also consider factors like your ceiling height, as well as what type of insulation is in your home. Be careful with the belief that a bigger unit will solve this problem. While a large unit will cool your home quickly enough, it will also shut off before it’s gone through the entire cooling cycle. Heat will sneak back in, and your HVAC unit will have to click back on again and repeat the same process. This constant cycle requires added energy and can increase your electric bill, in addition to the wear and tear it will cause to your overworked HVAC system. 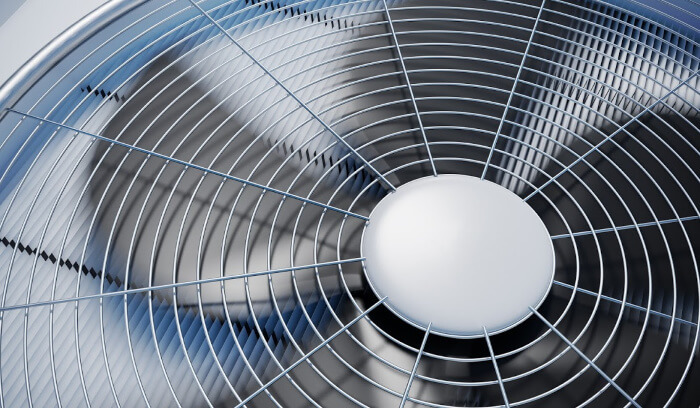 It is important to research quiet HVAC systems to find the best option for your home. Understanding more about what makes your unit noisy —and the features that can minimize those sounds— will empower you to make a great choice for your home.